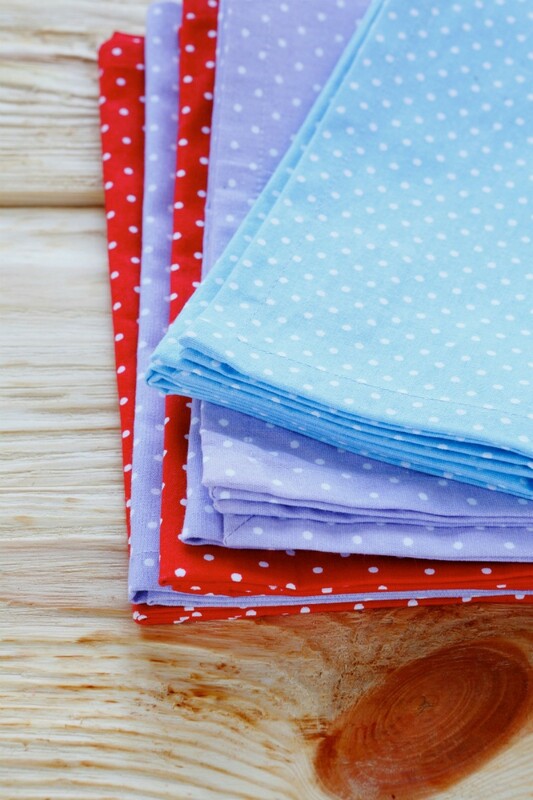 You can use a variety of fabric items around your house, such as worn towels, to make your own dish cloths. This is a guide about making your own recycled dish cloths. Who needs paper towels? This is a truly frugal idea I had several years ago. Do you have old t-shirts waiting for Goodwill sitting around? Cut them horizontally from the bottom of one sleeve to the other, basically harvesting the flat cloth beneath the sleeves. Then cut them down each side on the seam. You will have two larger cloths that you can either hem or not hem. I use these for spills, cleaning, dish washing - whatever! I no longer pay high prices for paper towels. Instead of buying kitchen dish rags take old towels and cut them into the size you want to clean your dishes with, then finish the edges on your sewing machine and wallah, you can wash them and reuse them. Make larger ones to keep on hand for spills. It saves you from buying expensive paper towels and keeps our environment safer too!